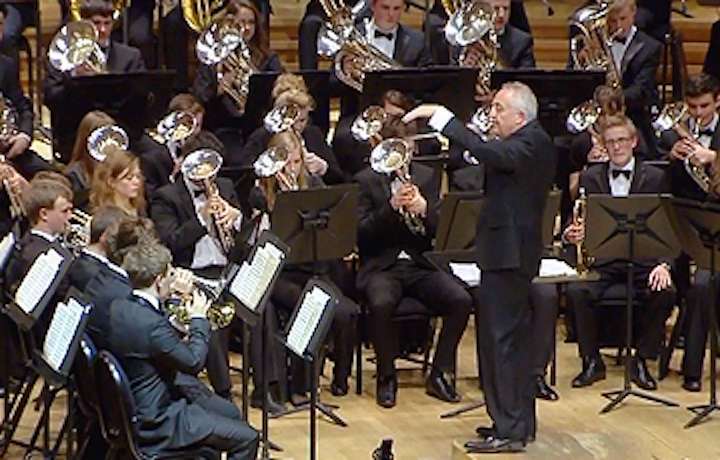 The National Youth Brass Band of Great Britain will take to the stage at the Barbican in London on Sunday 4th November to be part of the orchestral world premiere of James MacMillan's work, 'All the Hills and Vales Along'. Directed by Gianandrea Noseda, the band will share the stage with the London Symphony Orchestra and the London Symphony Chorus for the work commissioned to commemorate 100 years since the Armistice of 1918, and which remembers the human cost of war. In addition to rehearsing, the talented youngsters will also be treated to master-classes and workshops from LSO stars Philip Cobb, Peter Moore (who earlier this week gave the UK premiere of MacMillan’s Trombone Concerto), Patrick Harrild and Neil Percy. The talented youngsters will also attend the LSO Discovery Day at LSO St. Luke's, when the composer, Sir James Macmillan will discuss the inspiration for his new music alongside LSO Managing Director, Kathryn McDowell. The concert takes place on Sunday 4th November starting at 7.00pm at The Barbican Concert Hall, London.